With 16 Acres & three bars at Kirwan Park, it's possible for us to facilitate an event of any size! The facility is managed by our Catering Partners The Step Inn & run by Derek Carroll, who has over 20 years experience in the hospitality & catering industry. Derek and his friendly team ensure that all bookings are ran professionally and that you receive that personal touch to ensure your event runs smoothly, with the focus being to make sure your guests enjoy YOUR event & their visit to our club. 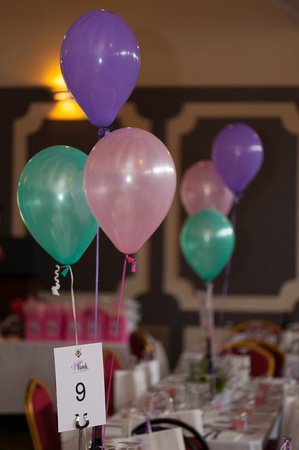 We currently take bookings for a wide range of functions including: 21'st's, 30th's, 40th's, 50th's, 60th's, 70th's & 80th Birthday parties, Christenings, Residents Associations meetings, Weight watchers meetings, American Football, Rugby League, Tag Rugby Tournaments, Touch Rugby Tournaments and various Corporate Events. Derek's team can provide YOUR complete needs including: Full range of musical/entertainment options (including: DJ's, Bands, Jazz, Traditional Singers), In house catering team who cook your complete requirements; from soup and sandwiches to 5 course silver service meal; Transport to and from the club (Taxi's/Mini-bus's) Security & any other requirements that you may have. The Main bar at the Clubhouse is the Ellis Bar. This accommodates approximately 100 people, has a Large Screen and two HD Flat Screen TV's, helping to create a unique atmosphere. For larger functions, you can also extend from The Ellis into The Acton Bar (this also has a large TV in it), which can hold another 60 people. The Presidents Room is also on the same floor and accommodates about 25 people, all three areas look out onto a beautiful view of the Dublin Mountains. 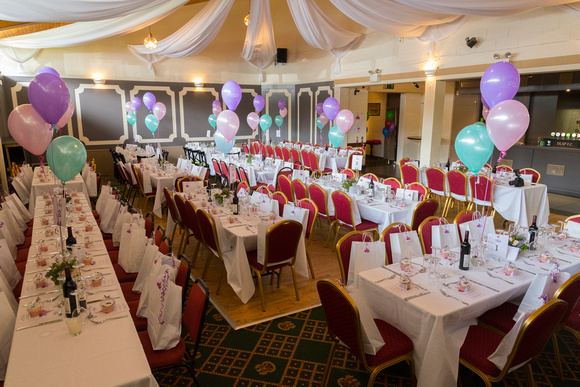 The Stratton Hall is our main function room and can accommodate full sit down meals for up to 160 people or separately, it will also comfortably accommodate 250 people for discos, etc. It has it's own Bar, which has the kitchen situated next to it, allowing easy access for serving of food. We have a full catering kitchen that can facilitate food for any parties or fiunctions that you may wish to hold in the club, and with the experienced catering staff of our new bar partner The Step Inn, its sure to be a huge success. To check availability on any possible date for an event you may have, please contact The Step Inn directly on 01 2956202 or dlsp@thestepinn.com and someone will be delighted to arrange to meet you personally in the club and show you around this impressive facility. The hiring of this facility, is open to members & non members alike!